I think the text is in Norwegian, no? Scribbled at the top is something about “…all going well when you become a happy couple”. That’s fascinating! 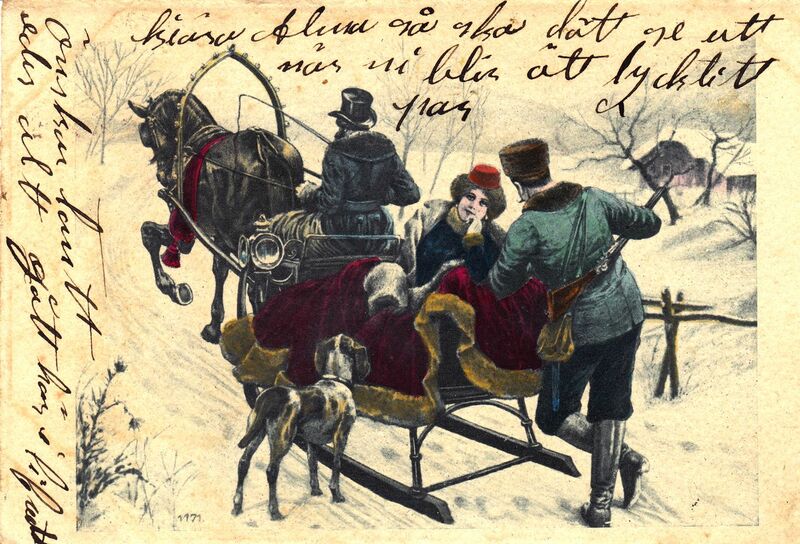 I love old postcards that include the messages (much prefer them over the pristine unused ones), but never had any idea of what this one said or even what language it’s in. Thanks for letting me know! This is one of my favorite old postcards. I’d have to look at the postmark but as recall, it’s from about 1906.